The Chinese New Year begins on February 14th this year, which of course, happens to be Saint Valentine’s Day. Cupids and tigers (It’s the Year of the Tiger) aren’t always a good mix! But this year, the rare convergence of these two events (only the third time since 1900), creates an auspicious occasion, which is the perfect opportunity for you to pull out your wok and stir-fry your way to a fabulous Chinese meal! Creating your own Chinese feast is the most delicious way to shower your Valentine (or Valentines) with love. After all, the Chinese New Year, like Valentine’s Day is all about gift giving. 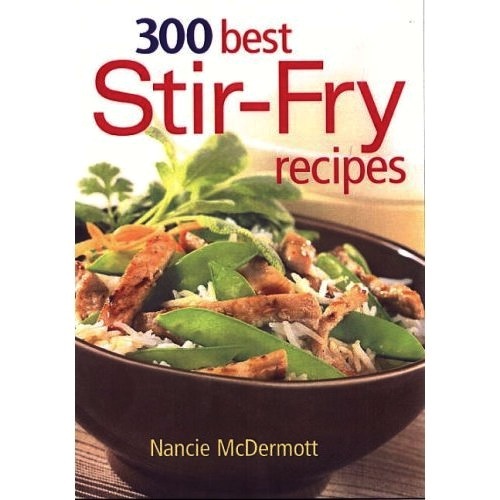 “Double happiness” and delicious Asian recipes are available in abundance in Nancie McDermott’s cookbook, 300 BEST STIR-FRY RECIPES (2007), published by Robert Rose. To celebrate, treat yourself and purchase a copy; it’s the gift that keeps on giving! The Les Dames d’Escoffier birthday party and movie screening of Julie and Julia is sold out. (Reference last week’s story, A Birthday Toast for Julia.) The event will be held in Charleston on Monday, 17th at the Terrace Theater on James Island. Although tickets to this event are not available, watch for notice of future Charleston events sponsored by the Dames. These gals know how to throw a party and have a great time! All proceeds raised by the group are used to aid the community and for culinary scholarships. The movie Julie and Julia will be released this week in theaters nationwide. Directed by Nora Ephron, it is a fascinating tale of two women – one is the culinary icon Julia Child and the other a New York blogger named Julie Powell. The two women never met – yet cooking became the thread that tangled their lives together in a most unexpected way. Wente Vineyards has been on the forefront of California’s rich winemaking tradition for more than a century. Almost 20 years ago, fourth-generation owner Carolyn Wente envisioned a restaurant on the vineyard’s scenic grounds that would immerse its guests in the simple pleasures of honest food and good wine. She brings her own style to her leadership role at the Winery and oversees their diverse lifestyle operations. Today is Cinco de Mayo, a Mexican holiday and party that celebrates freedom and liberty. It commemorates the May 5, 1862 Battle of Puebla (Batalla de Puebla) in which General Ignacio Zaragoza’s Mexican troops defeated Napolean III’s French forces. The day is also observed by Mexican people and those of Mexican descent living in parts of the United States, especially California since 1863. According to the U.S. Census Bureau our nation’s Hispanic population increased 1.4 million to reach 45.5 million on July 1, 2007, or 15.1 percent of the estimated total U.S. population. The Hispanic population exceeded 500,000 in 16 states led by California, Texas and then Florida. Many Mexican-Hispanics celebrate Cinco de Mayo with dancing, singing and of course, good food. To celebrate Cinco de Mayo, here are two favorite recipes from my cookbook, Mexican Medley. They are delicious anytime, of course, not just during a holiday. SOUTHERN CAKES – Such Sweet Inspiration! Nancie McDermott is the author of a new cookbook called, SOUTHERN CAKES -Sweet And Irresistible Recipes For Everyday Celebrations. A spectacular coconut cake graces the cover, offering the sweet promise of many luscious recipes within it’s pages. If you are looking for a memorable dessert for your holiday table or wish to surprise your family, friends and coworkers with a unique and tasty holiday gift, then look no further than SOUTHERN CAKES. You could ‘sweeten’ the gift even more by including a wrapped copy of this delectible baking book. 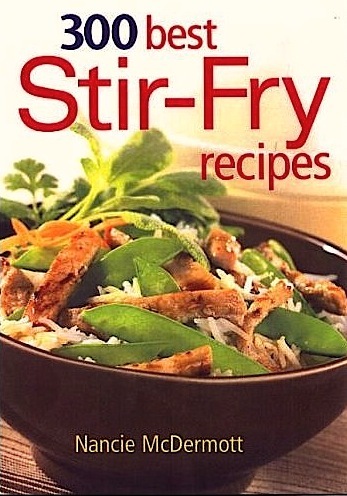 Read on to learn more and for a ‘generous helping’ of Nancie’s recipes.